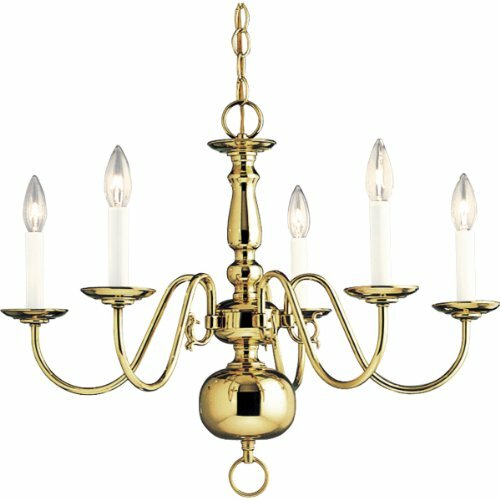 P4355-10 Finish: Polished Brass Features: -Five light candle chandelier.-Brushed nickel.-Delicate arms and decorative center column.-Overall height with chain: 58'' ; wire: 15'. 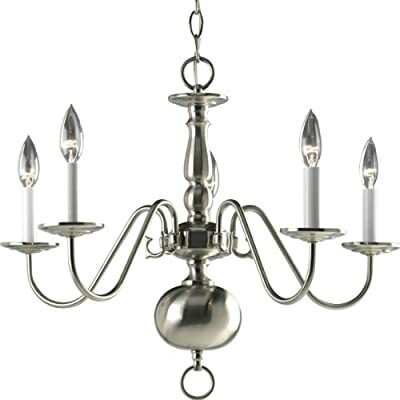 Specifications: -Accommodates: 5x60W candelabra base bulbs (not included). Dimensions: -Overall dimensions: 18.25'' H x 23.25'' Dia. Collection: -Americana collection.